I've heard it said that girls are complicated. I've heard it said that while guys compartmentalize their thoughts and emotions that a girl's mind is more comparable to a bowl of spaghetti, each thought representing a strand that's interconnected and tangled up in several other strands. I am learning that this is true of me. If you read my blog often, you will see a common theme. One of my biggest issues in life is that I feel the need to understand and to know where I am in life and where I am going. I want to have all my ducks lined up in a row and if I don't feel I have this sense of control over my own life, it makes me very uncomfortable. This sentiment carries over to the realm of my emotions. I feel I know how I should feel in a given situation and what my outlook should be. The problem is that my emotions seem to have a mind of their own and don't always pay attention to the commands of my brain. Lately, I have been bothered by situations in my life that represent something like a tangled ball of yarn. I don't know how to think, how to feel and even how to pray about these situations because they are complex and confusing. Everything is connected and intertwined and I can't touch one situation without it touching on another area of my life. Guys. God spoke to me this week about this...through the radio!!! Over the past couple of days prior to this breakthrough moment, I had been praying about this subject and having conversations about it with some very close friends. 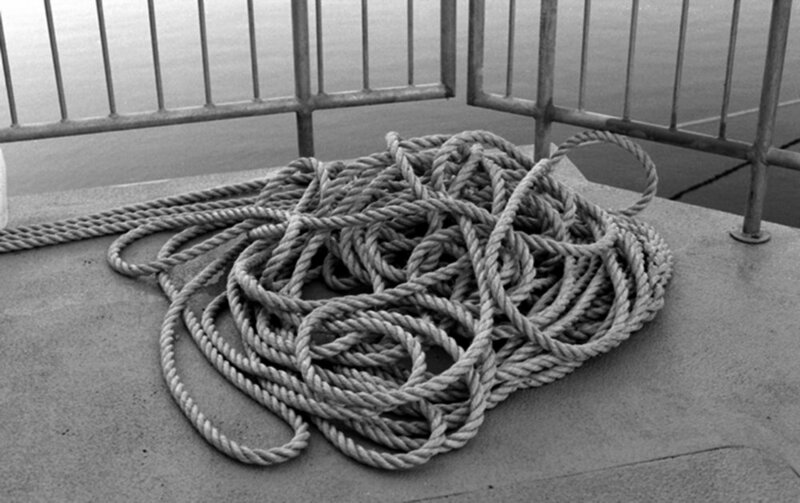 Each time I spoke or prayed I used the language of tangled knots. So there I was pulling up to my house. I had parked my car and turned it off, but the radio was still going. I had stopped to glance down at my phone when I heard a woman's voice say: "Have you ever been in a situation that was so tangled and knotted that you felt like you didn't know how to think, how to feel, or how to pray?" She had my attention. She continued, "God wants you to know that He's the one that untangles your knots, not you. All He wants you to do is to wait and to trust Him. He is the MESSiah. The God that turns our MESS into a MESSage of hope and love."